Disclosure – I received a gift card from Walmart and Herbal Essences to facilitate this review. I received no other compensation for this post and all thoughts and opinions are my own. I have very fine limp hair and I spend a lot of time and energy trying to plump it up so I was super excited to be trying out the new Herbal Essences Naked Volume collection. 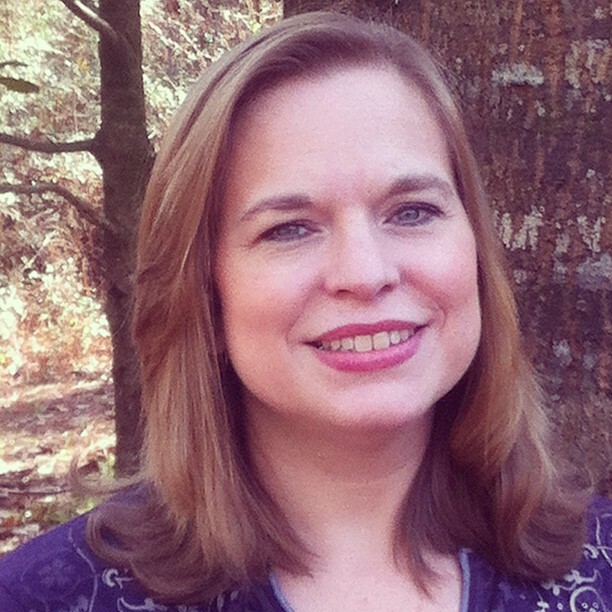 I’ve been using the products for a couple of weeks now and I’ve been very pleased with them. Usually I have to switch my shampoo and conditioner out every few days just to keep my hair from getting weighed down but I haven’t had to do that at all with these. The Naked Volume shampoo and conditionar have no additives like parabens that tend to make my hair limp after just a few days. The volumizing souffle has a wonderful citrusy scent and has done a great job of plumping up my fine hair. I really like it and look forward to applying it to my wet hair before I blow it dry in the mornings. I was a little bummed about the smaller size of the dry shampoo, but only because I like it so much that I want it to last awhile. It has the same great scent as the souffle and has been terrific for extending my do another day when I don’t have time to wash and style. Usually I would never consider doing that because my fine hair has even less body the next day, but this Herbal Essences Naked Volume dry shampoo has been working great for me so I don’t have to put my hair up in a ponytail on those emergency hair days. The Naked Collection Volume Kit includes Naked Volume Shampoo, Conditioner, Volumizing Soufflé Styler, and Dry Shampoo. – The newest collection from Herbal Essences! – Next time you shower, let your hair get naked too! – Restores hair’s natural body. – Made with zero heavy residues, dyes, and parabens. – Shampoo provides a weightless clean. – Conditioner keeps hair detangled, nourished, and full of volume. – Great for days when you don’t have time to wash your hair. – Refreshes your look for lightweight, clean hair — even on days when you don’t wash.
– The natural tapioca formula absorbs excess oil and transforms lifeless, oily hair into fresh hair. – Delights senses with the crisp essence of citrus and mint. – How to use: Gently spray on and work into roots, brush out as desired. – Weightless, volumizing styler gives you a lift for fullness that lasts. – Delights the senses with a boost of grapefruit and mint. – How to use: Gently work mousse through wet hair for touchable, natural volume. We just recently moved to another state and I had to find a new doctor for one of my kids who takes a maintenance medication for his ADHD and has to visit the doctor every three months for a new prescription. I had asked a friend whose son has the same issue for a recommendation but the doctor she referred me to had moved so I was stuck and needed a good doctor pretty quick. 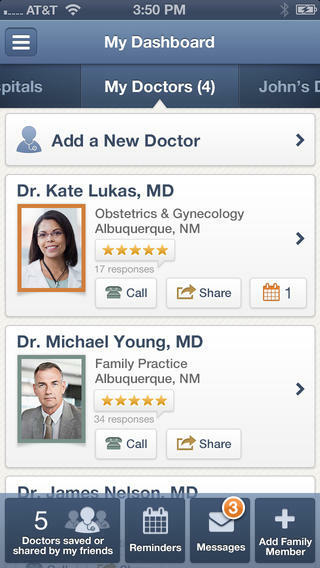 I turned to the free Healthgrades iPhone app and was able to search through several local doctors to find the right one at a great location for us. The great thing about the app is that you can also read reviews on doctors and hospitals from other patients, plus you can keep track of your caregivers and appointments all in one spot. We’re very happy with my son’s new doctor and I’m glad to have found Healthgrades for help with the referral! 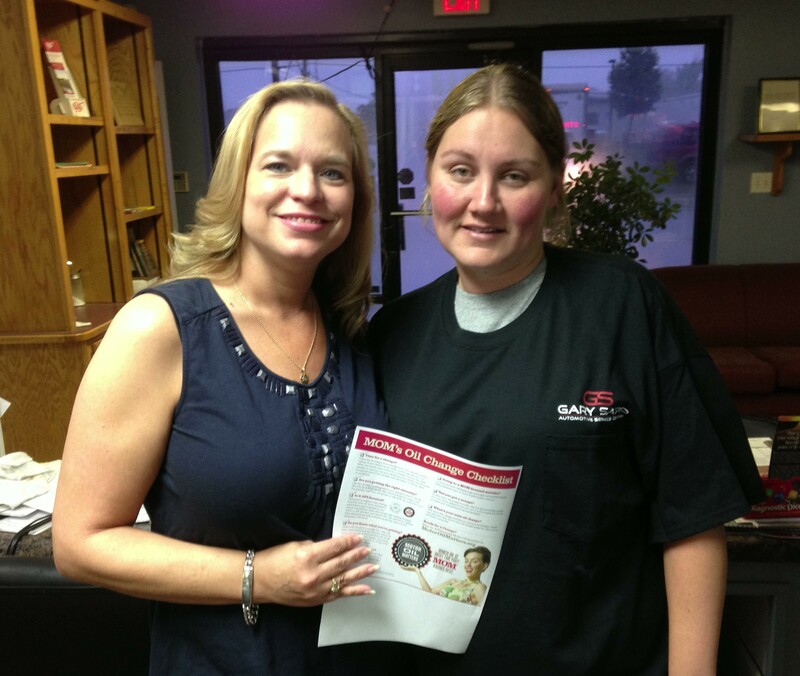 Gorton’s Seafood Challenge and Giveaway! We’ve always been big fans of Gorton’s seafood products so I was very happy to participate in the Gorton’s Seafood Challenge! 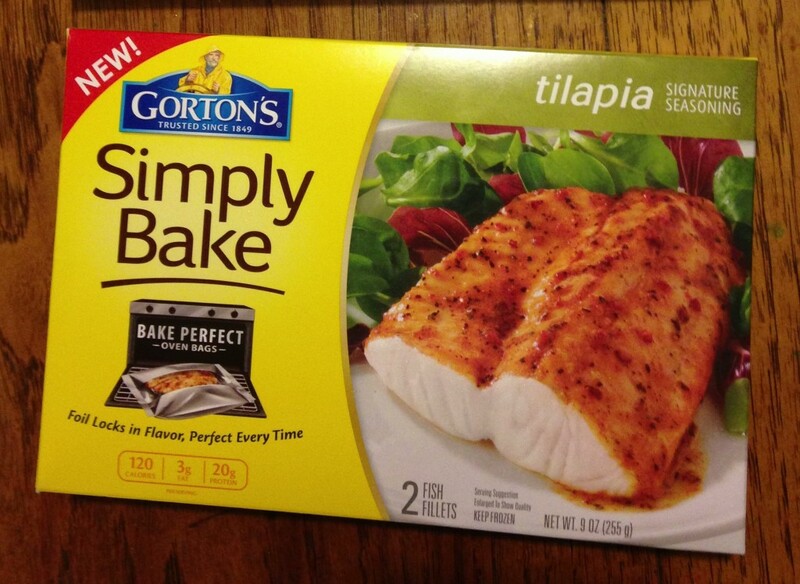 There are 20 delicious Gorton’s seafood dishes that have 200 calories or less per serving, and we got to try out several including the Skillet Crisp Shrimp and the Simply Bake Tilapia. 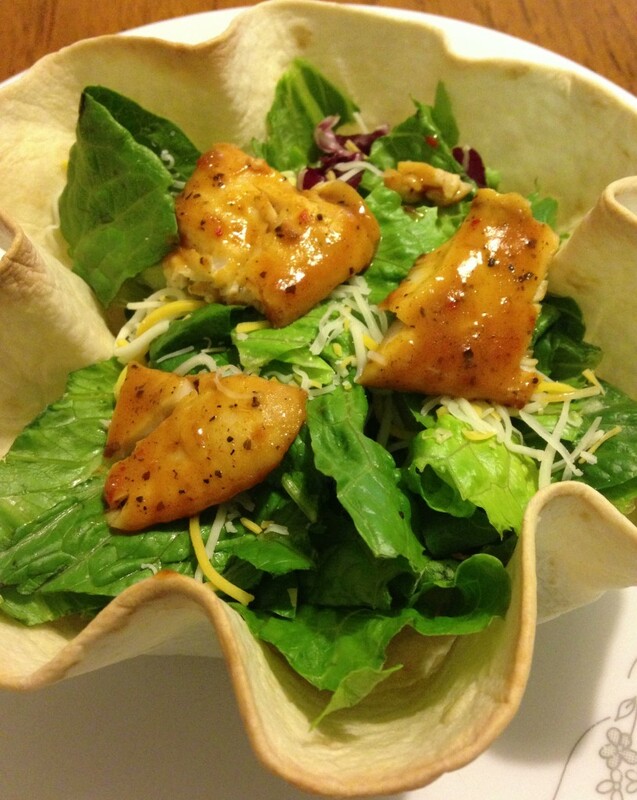 The Simply Bake Tilapia was my favorite, it’s delicious, super simple to make, and even the kids enjoyed it served on top of salad in these fun tortilla bowls. To make your own take tortilla bowls spray the inside of a glass or metal bowl with non-stick cooking spray, spray one side of a 9″ or 10″ tortilla, then carefully place it in the bowl with the sprayed side up. Put a ball of aluminum foil in the bottom of the tortilla then bake at 350 degrees for approximately 15 minutes or until lightly browned. I’m thrilled to be able to giveaway a Gorton’s Seafood prize package to one lucky reader! To enter just do any or all of the things listed in the Rafflecopter widget below. This giveaway will end at midnight on Saturday, April 6th. 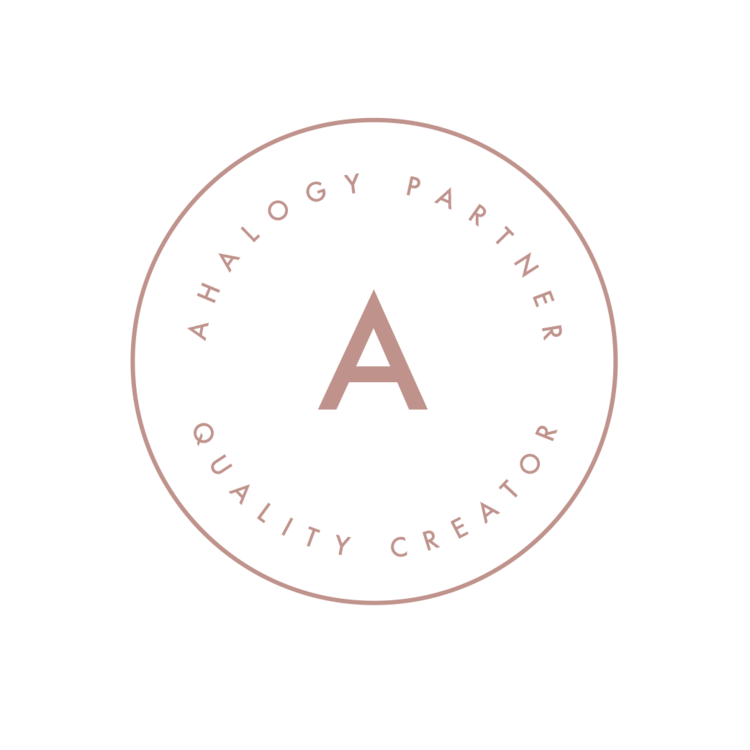 Disclosure – I received several free product coupons and the items listed above for the purpose of facilitating this review, and the sponsor is providing another identical package for a lucky Shopper Strategy reader. I received no other compensation for this post and all thoughts and opinions are my own. I’ve had some life altering events occur in the last couple of weeks that have resulted in my filing for divorce from my husband of 12 years. It’s a very difficult time for all of us, but especially for the kids who are too young to really understand what is going on around them right now. After more than a decade of dwindling emotional connection, I decided to take the weekend at the beach to reconnect with my thoughts and the most important people in my life. 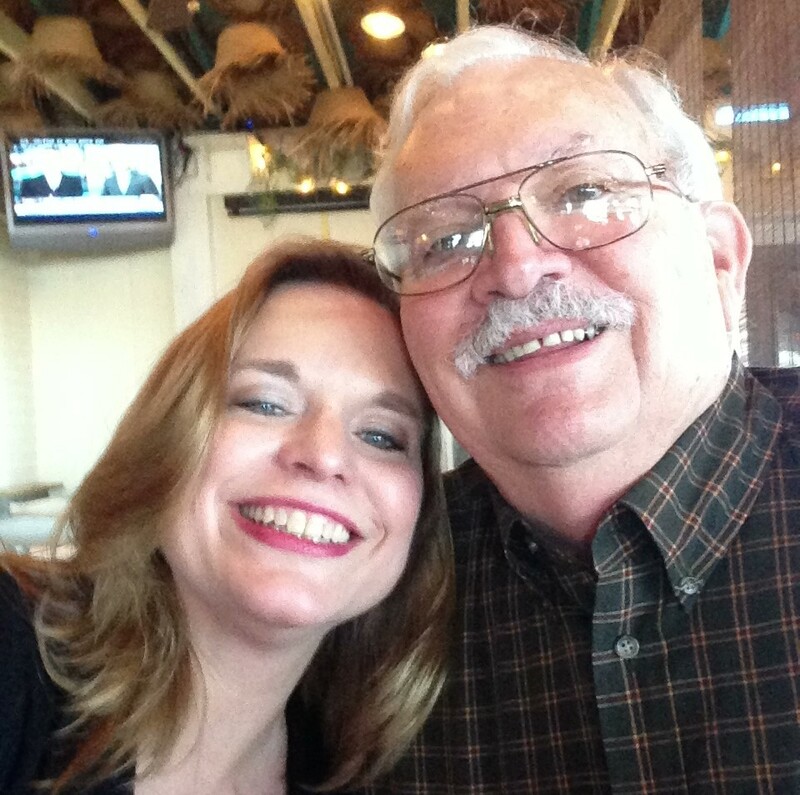 I’ve had lunch with a dear old friend that I haven’t seen in years (that’s me and Jim below at lunch), have talked to friends that I haven’t spoken with since middle or high school, and have been amazed at how a simple pat on the back or a hug can affect my emotions and well-being. Did you know that your emotional state can affect your heart’s health? It makes a lot of sense to me, but I didn’t realize that there is actual science showing that stressful feelings can increase your risk of developing heart disease and other ailments. This has been such a stressful experience for us that I’m grateful for any and all means of reducing the stress for my family and loved ones. 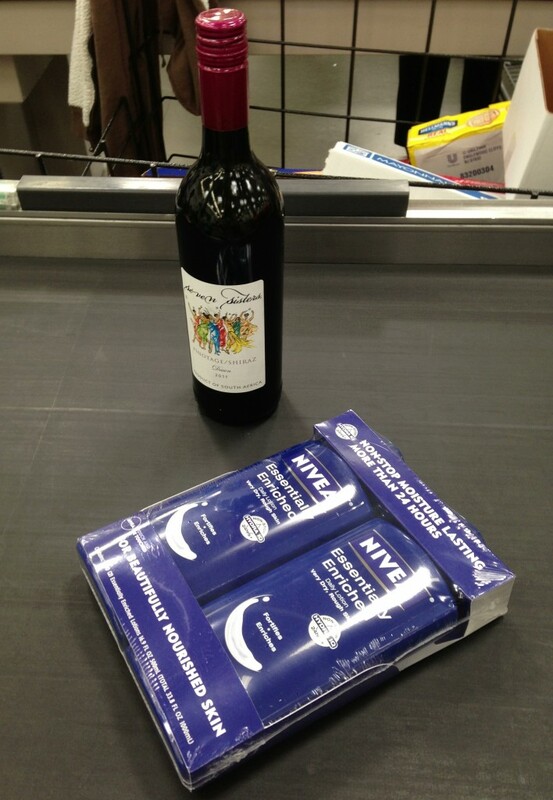 For that reason, I hit Sam’s Club on my way out to the beach to get some necessary supplies and ended up buying some wine and this twin pack of NIVEA lotion. Lotion is always a part of my daily life, but I feel like it’s even more important when spending so much time outside in the elements, and for making sure my skin is touchably soft while interacting with other people. The warmth of another human’s touch can literally lift burdens from one’s heart and I have been amazed at the outpouring of support from friends and family. Physical contact from positive people who provide simple friendship and affection with nothing else behind it has been of tremendous benefit to me and my family this week and I’m sure it will continue to be while we navigate the stressful waters of starting over in a new life. If you would like more information on NIVEA and the NIVEA Million Moments of Touch then you should check them out on Twitter and Facebook to stay up on all the latest news and information. 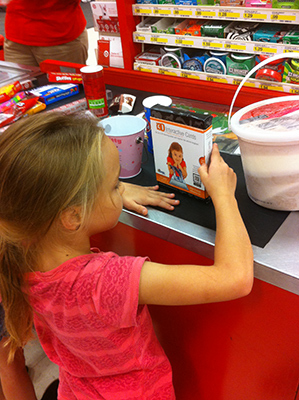 My two seven year old daughters were thrilled to have a “girl’s day out” with mommy earlier this week, we went to lunch, ran some errands and stopped by Target to do some shopping. Each of my quads got a $5 Target gift card from a friend for their birthday last month so the girls were ecstatic to stop by the dollar aisle and buy a few things with their own money, but they were even more excited when they got to help me pick out some Cypher Kids Club Interactive Cards! The Cypher Kids Augmented Reality Cards come with an app that can be used with an iPod Touch (4th gen or newer), iPhone 4 (or newer), and iPad2 (or newer) and they’re available in three varieties – Wild Animal Adventures, Letters and Numbers. My girls picked out the Wild Animal Adventure cards and I knew that their brothers would love to play with them as well. They couldn’t wait to check out the cards and even started asking me to download the app before we left the store. I asked them to please be patient since the boys hadn’t come with us on our day out, I thought it would just be nice to wait and let them help open the package so we could all learn how to use the cards together. The kids are always begging to play with my phone but it’s nearly attached to my hand so I hate to let it go, but it makes them happy and keeps them entertained so we compromise. But I really don’t want them to mess with ‘my’ apps or spend ‘my’ Smurfberries so I’m very happy for them to have their own apps and games to play with. There are 18 different wild animal cards including a lion, dolphin, giraffe, polar bear, elephant, monkey and many more! The kids all selected a couple of cards each and got busy learning how to use the app. It was super simple, just click explore, select your animal and point the camera at the card. They got the hang of it very quickly and loved watching their selected animal pop up on the screen in 3D and move around while the app was also telling the kids fun facts and making animal noises. 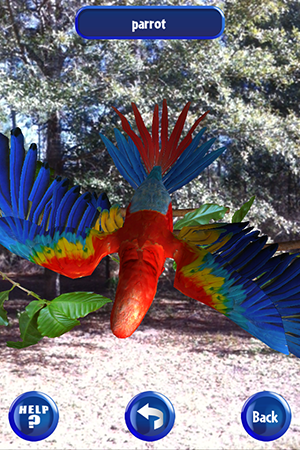 We’ve been having lots of fun learning about animals and their habitats, and taking screen shots of them in action. You can let the kids get in the picture with their animal or take them outside in the yard like we did with this parrot. 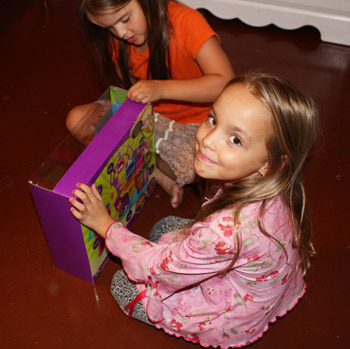 We all give the Cypher Kids Cards two thumbs up and I think they’d make a great gift this holiday season! 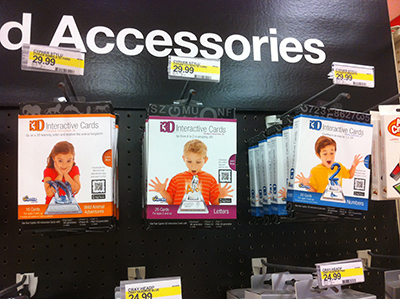 They’re available at select Target stores and you can also check out Cypher Entertainment on Twitter and Facebook. Are You Craving Turkey Yet? The temperature is starting to drop, the stores are overrun with pumpkins, the kids just had their fall festival at school and I’m already craving turkey! Instead of waiting another month for a big turkey dinner, hubby and I swung by Arby’s yesterday and tried out their new Grand Turkey Club sandwich. We’ve always been big Arby’s fans because we really like the fact that they slice their own roast beef right there in the restaurant as they need it so it’s always fresh when you order a sandwich. Plus it’s easy to please the kids on a budget with their menu. I think their new sliced turkey idea is brilliant and frankly I don’t understand what took so long! 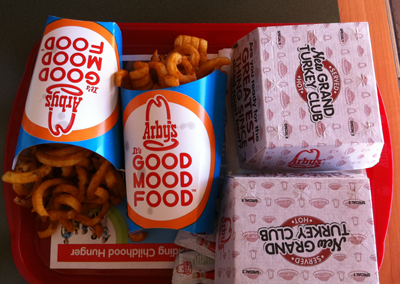 We both ordered the new Arby’s Grand Turkey Club combos with curly fries and large drinks. Although my sandwich didn’t look nearly as pretty as the one in the sign on the way in, I have to say that it was definitely “served hot” as advertised and it was delicious! Hubby ordered his the regular way and I asked for mine without mayonnaise and we both greatly enjoyed our dinner. 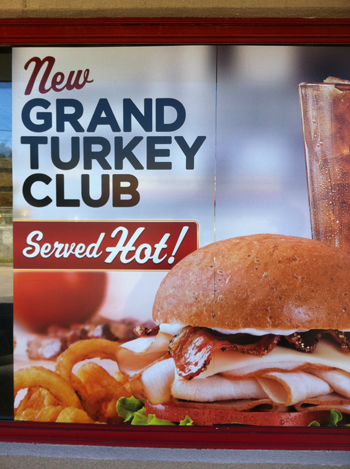 The Grand Turkey Club sandwich comes with freshly sliced roast turkey, melted Swiss cheese, pepper bacon (yum! 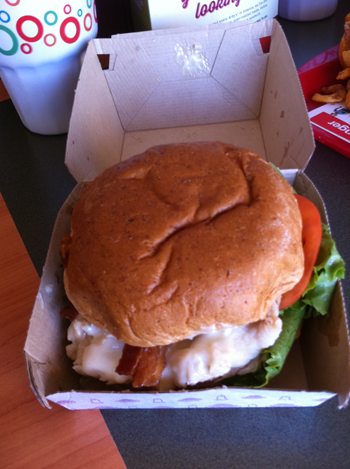 ), leaf lettuce, tomato and mayo on a harvest wheat bun. My cheese was perfectly melty (the technical term! ), the lettuce and tomato were fresh and colorful, the wheat bun had just the right hint of sweet and the turkey was really surprisingly moist. Turkey is known for being on the dry side and although I prefer to buy turkey lunch meat for the house, we always have to either eat it fast or it tends to dry out. My meal was so large that I ended up taking a bit of my sandwich home and I was really impressed with how juicy the turkey still was when I warmed it up later. 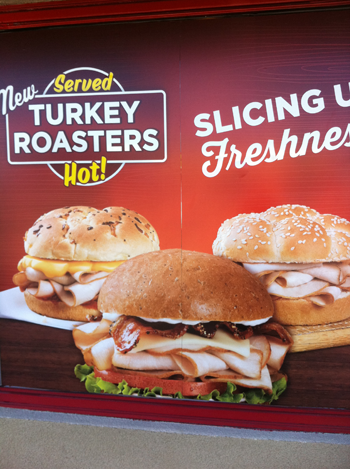 Of course there are also other choices when it comes to Arby’s new fresh sliced turkey – you can try out the Turkey Classic or the Turkey ‘n Cheddar Classic in addition to the Grand Turkey Club. They all look delicious but I highly recommend the Grand Turkey Club sandwich that I tried because the addition of pepper bacon is the perfect touch. It has “craveability” and is sure to cure your family’s turkey cravings through the holiday season and beyond. 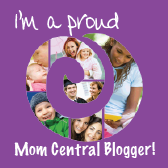 Disclosure – This blog post is part of a paid SocialMoms and Arby’s blogging program. The opinions and ideas expressed here are my own. 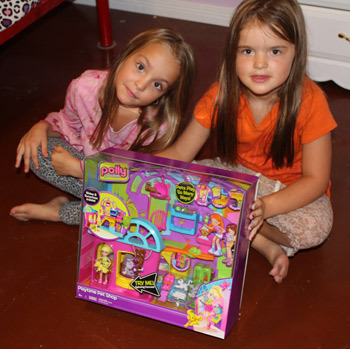 My girls love their Polly Pocket Hangout House Playset so much that they couldn’t wait to open this Playtime Pet Shop set! They think they’re too old for baby dolls now so they’re a little hard to shop for because I won’t buy them any of the “older” fashion dolls that wear revealing clothes and way too much makeup. 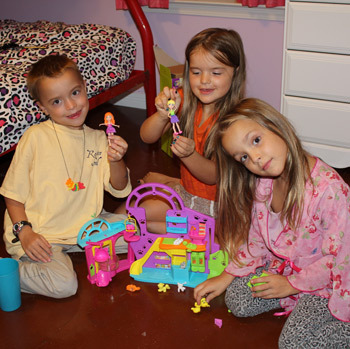 The Polly Pocket sets are marked ages 4 and up – I believe that’s simply because they have smaller parts that aren’t intended for kids three and under, but they’re perfect my six year old girls who will be seven next month! 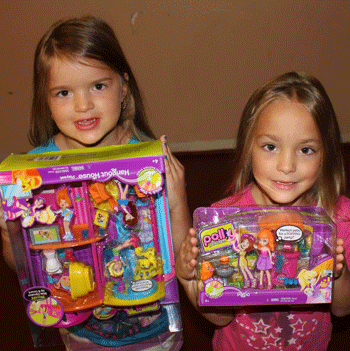 I remember playing with Polly Pocket dolls when I was little and they were great then, but they’re even cooler now! The sets come with lots of parts and levels so there is plenty of room to play and interact with all of the pieces, and there are so many neat sets to choose from. The girls easily snapped the bigger pieces together themselves without the help of the included instructions and they really enjoyed playing with all the movable parts like the spinning carousel and the pet treat dispenser that came with its own tiny treats. This Playtime Pet Shop comes with a swing, slide and all sorts of things to play with, plus the dolls themselves are the perfect size for carrying around in purses or pockets. 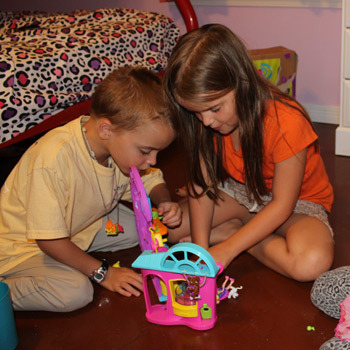 They were having so much fun playing with the Polly Pocket Playtime Pet Shop that one of their brothers just couldn’t help getting involved. All the little pets, including a puppy, cat, kittens, birds and rabbit were like magnets that just drew him in and there were plenty of pieces to play with so the girls didn’t mind letting him play too. The kids really enjoyed opening their own pet shop and I love the fact that all of the sets will work together so the kids can mix and match the pieces for lots of playtime fun! They’re so excited about their new Polly Pocket toys that they’ve already asked to take them to school for show and tell and I’m positive that their teachers will like that much better than their previous idea of bringing a goldfish to school. With their birthdays and the holidays coming up, I’ll be on the lookout for more Polly Pocket sets! Disclosure – I participated in this campaign on behalf of Mom Central Consulting for Mattel Polly Pocket. 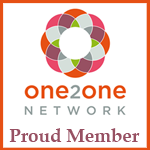 I received a product samples and a promotional item as a thank-you for participating. My quadruplets are six and think they’re such big kids now! The two girls feel like they’re way too old for baby dolls but they still really like “girly” toys only it can be pretty difficult to find things that are age appropriate and that they also think are “just right”. 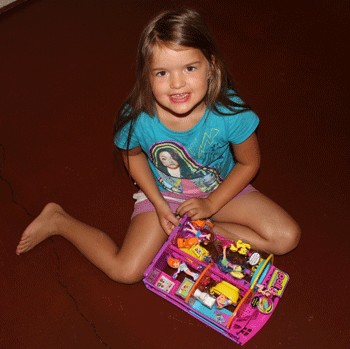 I remember getting some Polly Pocket toys for Christmas back in the ’80s and I absolutely loved them! 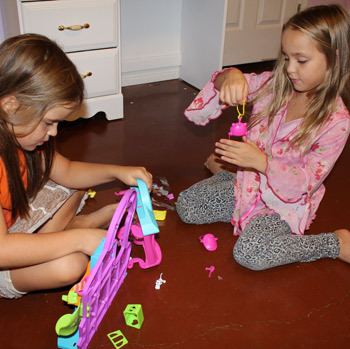 I think it’s wonderful that they’re popular now and my girls are playing with the same toys that I have terrific memories of from my childhood. 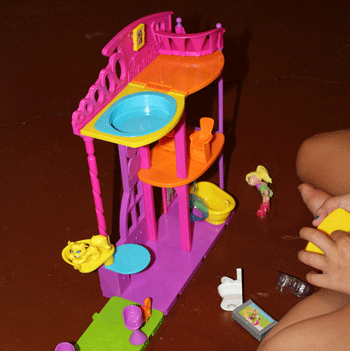 The really neat thing about this Polly Pocket Hangout House playset and the Stick ‘n Play Patio addition is the suction cups on the bottom of the pieces. My girls really love the size of the pieces and that they could stick them and re-stick them wherever they like. The pieces are easy to rearrange over and over and there is a neat pink elevator that you can take up to the third floor bedroom or rooftop swimming pool. The set includes Polly, her dog and lots of furnishings. There are several different add-on kits like the Patio seen here in green that came with one of Polly’s friends, a pet, BBQ grill and everything you need for a cookout. 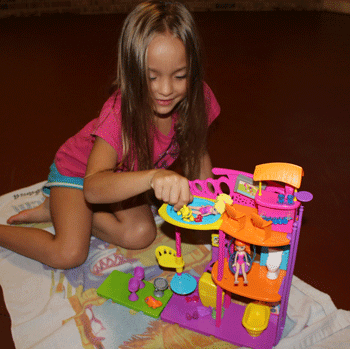 The girls were getting so into their Polly Pocket play that they simply had to add water to the swimming pool so that Polly and friends could have a swim party. The sets proved to be lots of fun for the girls and they’ve even been taking the figurines and other pieces with them on car trips to grandma’s for the weekend! They’d love to add some more additions and I’ll be sure to keep you informed. For some reason my oldest son is the most casual about his stuff. When it’s cold in the morning but has warmed up by afternoon you can be sure that he’ll leave his jacket somewhere on the school grounds. The problem with that is that he doesn’t have a jacket to wear the next morning when it’s cold again. One time when he did this I got a spare jacket out of the closet I was holding onto for the next year, let him wear that so he wouldn’t freeze, then he left the new one at school too! Unfortunately, because we were in our usual morning hurry I didn’t have time to put his name in the new jacket and (surprise, surprise!) he didn’t bring it home either. We got half a day’s use out of NEXT YEAR’S jacket before it disappeared and really it was as much my fault as his because I knew better than to let it leave the house without his name on it. Thank goodness that jacket finally made its way home, later in the week after he finally decided to check the lost and found. 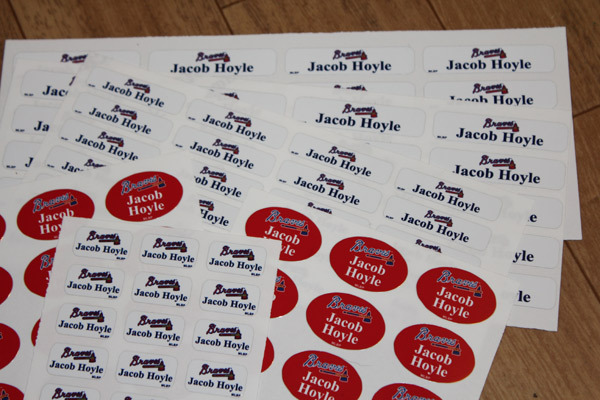 I am very happy to report that things have changed since we got our Atlanta Braves labels from Label Daddy! 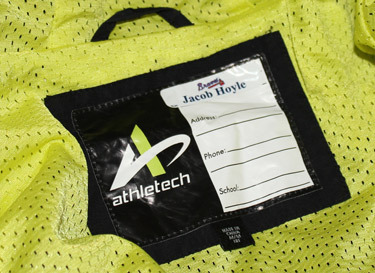 The labels came in lots of different sizes and shapes, they’re super easy to peel and stick, and best of all – they’re washable! 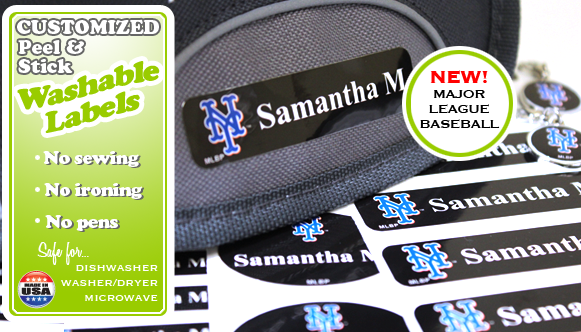 Label Daddy has a brand new line of licensed Major League Baseball labels so you can choose your favorite team – most of which even have several different logo choices. Of course you can also get licensed Disney logos, licensed Marvel logos and lots of other neat designs but the new MLB ones are especially exciting right now with spring training going on! Enter to win a $60 Label Daddy gift certificate so you can create some labels with your favorite Major League Baseball team or other logo! Just do any or all of the methods listed in the Rafflecopter widget below. The giveaway will end at midnight CST on Friday April 6th.